“Search terms” is a simple concept, but an instrumental part of both organic and paid search marketing. A keyword, on the other hand, is a word or phrase that SEO professionals use to attract organic clicks and improve page rankings on search engines. Keywords are also used by marketers and PPC specialists to bid on in their paid search campaigns. A search term is also known as a search query. It’s a word or phrase that someone enters into a search engine, like Google. Search terms can contain a single keyword or a string of keywords that’s either a part of or the entire length of a phrase. All search results shown on Google depend on these two types of keyword targeting. And it all begins with the user’s search term. Search engines have changed a great deal in these past few years. And the better you understand how it works and the way people today search on the web, the better equipped you will be when crafting your SEO strategy. Google no longer only ranks pages based on keyword density or volumes. Instead, the search engine’s algorithm looks at search intent. Over time it has adapted to understand users’ search queries better and match them as accurately as possible to relevant results. When a user performs a search, Google will show both organic and paid results based on their search behaviors. And this is precisely why it’s important to understand how your target audience performs searches. All the results (including paid Google ads) that you get upon performing a search on Google depends on the search term that you used. 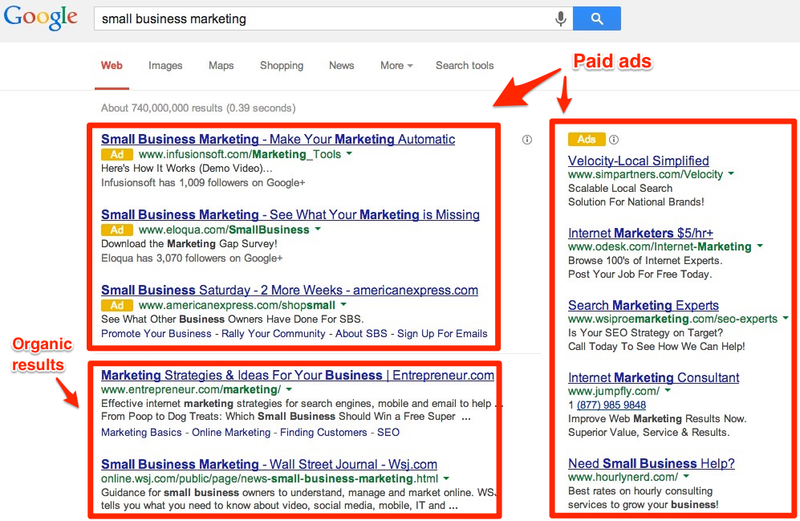 Each Google search ad uses a keyword, or a group of keywords, identified by the advertiser. That’s why you will see relevant pages for both organic and paid results. Once the target keyword is found, the advertiser will place a bid (or the maximum amount of money they’re willing to pay) for each relevant keyword. The value varies depending on the competitiveness of the keywords. And in most cases, the bid will depend on the advertiser’s paid-per-click (PPC) budget. For example, if you’re running a marketing consultancy agency that targets small businesses, you might target “small business marketing” as a keyword. When a potential client enters a search term “how to do small business marketing,” Google will run an automated auction involving other advertisers that have placed a bid on that same keyword. The winner of the auction will get the top advertising spots on SERP, followed by the rest in descending order. In PPC marketing, placing an appropriate budget that matches the competition level of a keyword is important. It increases the likelihood of your ad placed in priority and high visibility spots on SERP. But choosing the right search terms also matter just as much. As you can see from this example, the search term “small business marketing” and its semantic keywords are very competitive. So, depending on the data you get based on your keywords, they should help you craft a more feasible digital marketing strategy to promote your services on search. A large part of SERP, as you would’ve already noticed, are mainly organic search results. It’s the handy work of search engine optimization (SEO), which is the practice of optimizing a page or website to ensure that it’s indexed, crawled, and ranks well on SERP. And just like paid search marketing, SEO is centered on search terms. When a user enters a search term, Google’s algorithm will sort millions of pages and filter only the most relevant pages on SERP. The more clicks a website gets, the more relevant it will seem to Google. That, among many other factors, will determine the placement of the website or page on SERP. There are many factors that Google takes into consideration when ranking pages, including relevant keywords, meta keywords and how they are used in title tags, headlines, and meta descriptions. But don’t worry too much about keyword density, it’s been long proven to be mostly a myth. 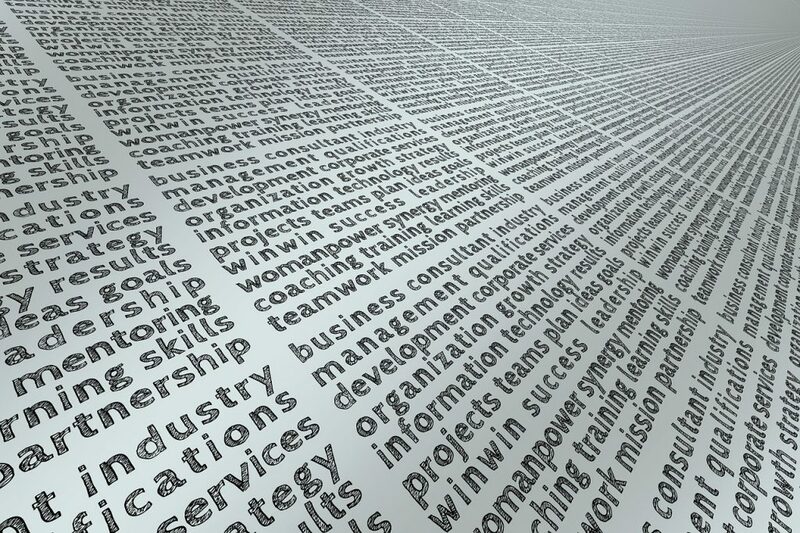 What is important is that you use high-volume keywords that are relevant to your brand or content. Another important metric is your website’s page authority that is determined by Google PageRank. The more backlinks you attract, the more reputable your website will be in the eyes of Google’s crawlers. Which means it will be easier for your page to rank higher based on a targeted keyword. Page authority depends on the strength of your backlinks. Want a high score? You’ll need tonnes of solid backlinks from authoritative, reputable websites. There are many strategies to gain backlinks, as long as you avoid any black hat SEO techniques like buying backlinks (because Google really doesn’t like it and you’ll get severely penalized). On the other hand, if you have great content and solid on-page SEO practices, you’ll have a higher potential of getting organic backlinks from other websites, blogs, and even social shares. Which brings us back to the heart of SEO – using the right search terms for your content. Finding relevant, high-volume search terms couldn’t be simpler when you use the right keyword tool. 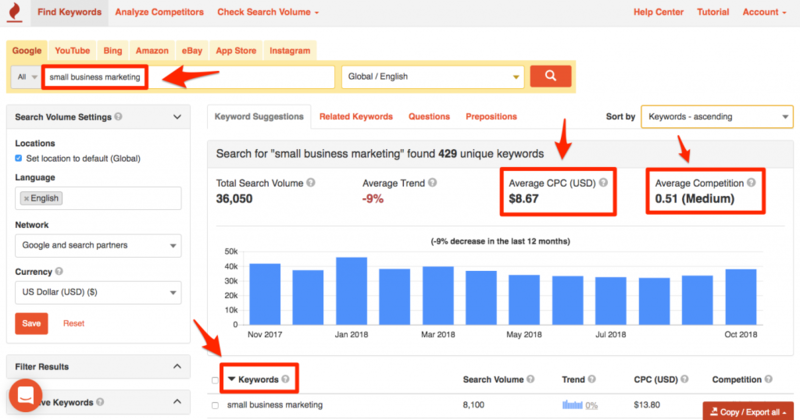 Through proper keyword research, you will see not just a list of relevant keywords but also valuable data like search volumes, cost-per-click (CPC) and average competition level. With accurate keyword data and a solid SEO foundation, you can then focus on writing good copy and creating great content.